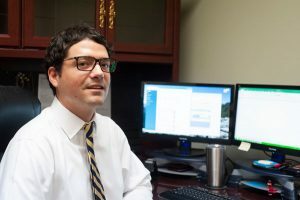 John joined UMMC in December 2017 as an accountant in our Leesburg office. He holds a Bachelor of Science Degree in Accounting from Shenandoah University in Winchester, Virginia and is planning to become a CPA. John lives in Round Hill, Virginia, and enjoys fishing, kayaking, and hiking in his spare time.